We like untapped potential. We’re always looking for people ready to unearth the next chapter of a story yet to be told, ideas yet to be realized, and recipes yet to be brewed. Responsible for preparing and maintaining reports, liaising with all departments to endorse corporate policies and analyze data in reports, building of financial, budget and forecast models, and supporting short- and long-term strategic planning initiatives. The position will primarily involve the support of the company’s medium and long-term forecasting processes, which includes budgeting, capital planning, financial return metrics and strategic planning. The role will be responsible for the analysis, review, verification and processing of financial transactions and information related to those processes. The position is deadline oriented and may include research and documentation of accounting issues as well as testing of internal controls. This position will appeal to an independent, analytical problem solver who has a professional accounting designation (CPA) or who has a degree in Business or Commerce and is working towards a professional accounting designation. A minimum of two to three years of progressively responsible experience in a financial reporting environment is required, as is a high level of computer competence and experience in an automated accounting environment. The successful candidate will have the ability to multi-task, a willingness to introduce and support system efficiencies and have a good understanding of GAAP and IFRS. Our packaging team is looking for new packaging line operators in our Calgary facility. If you are someone who enjoys the fun and excitement of production, is dependable and wants to be part of the Big Rock story, we want to hear from you! Reporting to the Packaging Supervisor, the Packaging Line Operator is responsible for all duties required to meet production schedule demand and must be capable of monitoring, operating and cleaning machinery to manufacturer and company specifications. We have a vacancy on our sales team that we need to fill with a new Big Rocker! Are you an energetic, enthusiastic sales professional who is passionate about beer? Reporting to the Regional Sales Manager, the Territory Sales Representative is responsible for sales of the Big Rock family of fine beer & cider products. The Territory Sales Representative will reach his or her business targets through effective management, development and execution of sales strategies for customers in designated territories by conducting physical visits to on-premise and retail customer sites. Demonstrate ability to genuinely interact with customers to show passion, knowledge, dedication, and commitment. This individual will also develop ongoing, profitable relationships with customers and continually maintain a professional image of the company meeting volume objectives and targets. Integrity, passion, innovative thinking and in-person presentation skills are essential for this role. We are looking for reliable, enthusiastic, and independent Brand Ambassadors to engage customers at various liquor stores, and pubs throughout the Calgary area, lead engaging and entertaining brewery tours, serve beer in our taproom and work the Big Rock Beer Shop. Our Big Rock Vancouver Brewery is looking for new team members who go hoppy over craft beer and enjoy the fun and excitement of the hospitality industry. If you are dependable and willing to take on a unique opportunity, we want to hear from you! Hello Future Big Rockers! 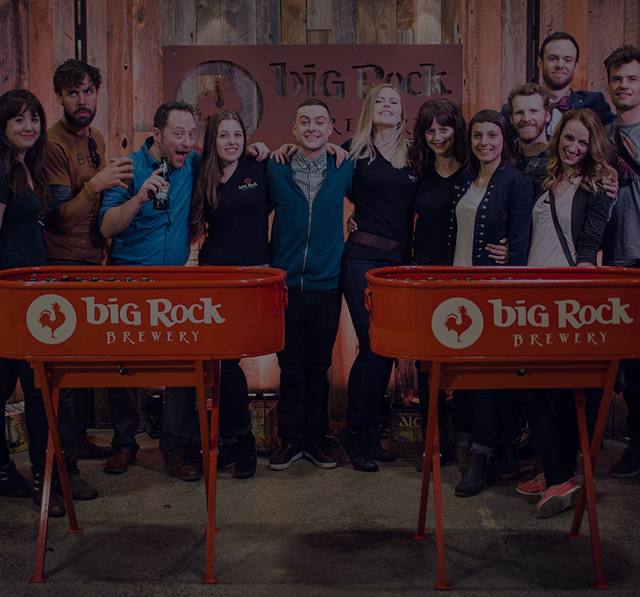 Do you want to work with one of the largest craft breweries in Canada?! Our Big Rock Vancouver restaurant is looking to hire an experienced and passionate Cook who goes hoppy over craft beer and enjoys working on one of the best teams in the city. We are looking for that “right fit” who has a positive and upbeat attitude, open availability along with a love for all things beer! If you have restaurant industry experience and a passion for food prep, please apply today. Hello Future Big Rockers! 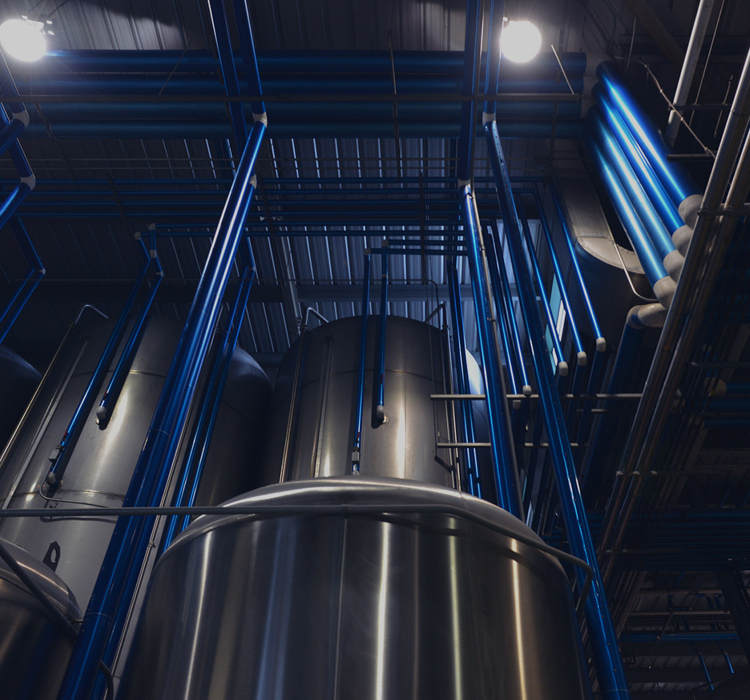 Do you want to work with one of the largest craft breweries in Canada?! Our Big Rock Vancouver restaurant is looking to hire part-time Server/Shift Lead's who go hoppy over craft beer and enjoy working with one of the best teams in the city. We are looking for that “right fit” who has a positive and upbeat attitude, open availability along with a love for all things beer! We are looking for reliable, fun and independent Brand Ambassadors to showcase our products and the Big Rock brand. We also need Brand Ambassadors to lead engaging and entertaining brewery tours at Big Rock as we evolve into a hot spot for craft beer enthusiasts, visitors and travelers. Big Rock Brewery is looking for enthusiastic brand representatives to work part time at both the new brewery in Etobicoke as well as the Brew Pub in Liberty Village.